Gorgeous cul-de-sac location! Breathtaking long water views. Extended Capris Model, Freshly painted neutral interior. Accordion shutters & impact triple sliders. Tiled living area. Plantation shutters thru out. Granite counter tops. Whole house surge protector. Large fenced side yard. Nicely landscaped premium oversized lot. Immaculate, well maintained home is move in ready. 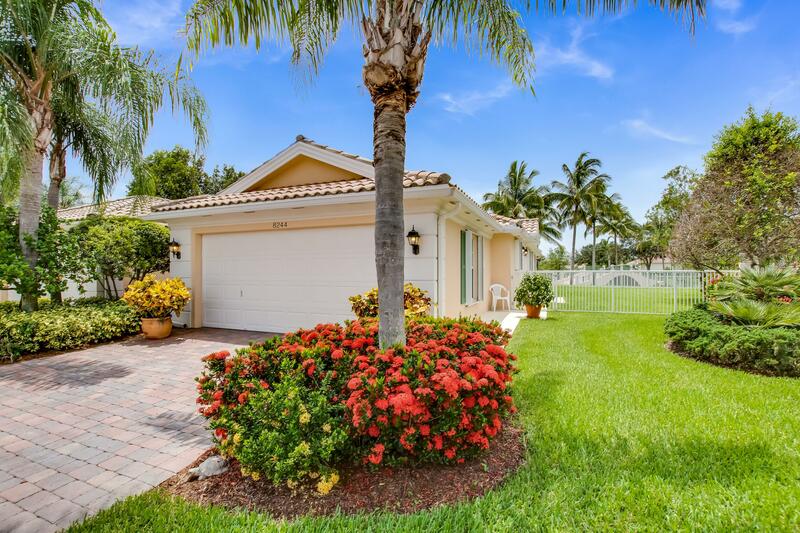 Easy stroll to clubhouse with Resort style amenities includes: 2 olympic size pools, fitness center, tennis courts, basketball, cafe, beauty salon, post office, man gated.This is a welcoming All Age community. Live the carefree resort lifestyle in the heart of Wellington. Now vacant easy to show.Back on the market due to buyer finance issues. Furnished photos prior to fresh paint.